The magic of sleek and simple cannot be matched by any. And, this Contemporary Cuckoo Clock Simple Line proves the fact. 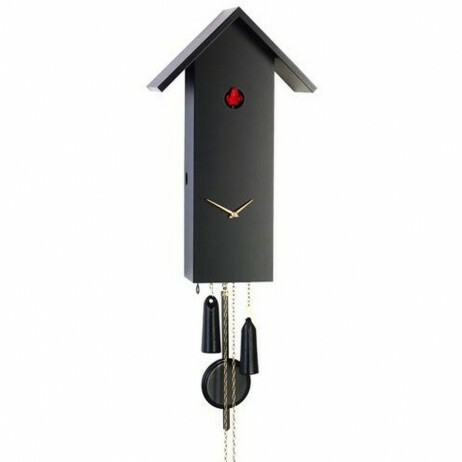 This stylish, Black German clock will bring a modern touch to your walls. It has a futuristic design by Romach und Haas that translates into a beautiful piece for the walls. 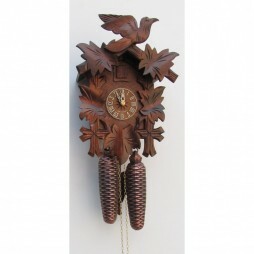 The clock comes with a large wooden bird that pops out at every cuckoo call. This functional telltale is a VDS-certified piece, which comes with a shut-off switch and offers an unparalleled convenience. Lay your hands on this piece today and enthuse your walls with a gorgeous charm. 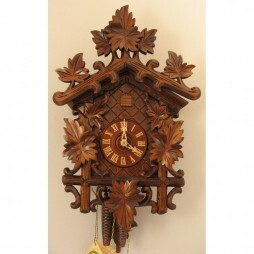 Combining stylistic cues from centuries-old clock-making with modern design, these clocks are real treasures. Their classic style fits perfectly in a very traditional or very modern decor, and the whimsy and color provide an individual accent piece. 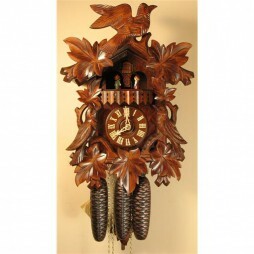 These large clocks feature an animated cuckoo bird which appears and calls the hour. 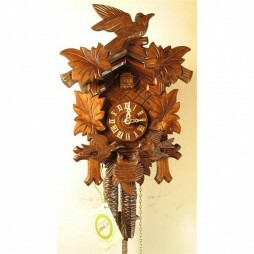 Their fascination appeals as an accent piece and a centerpiece of design.